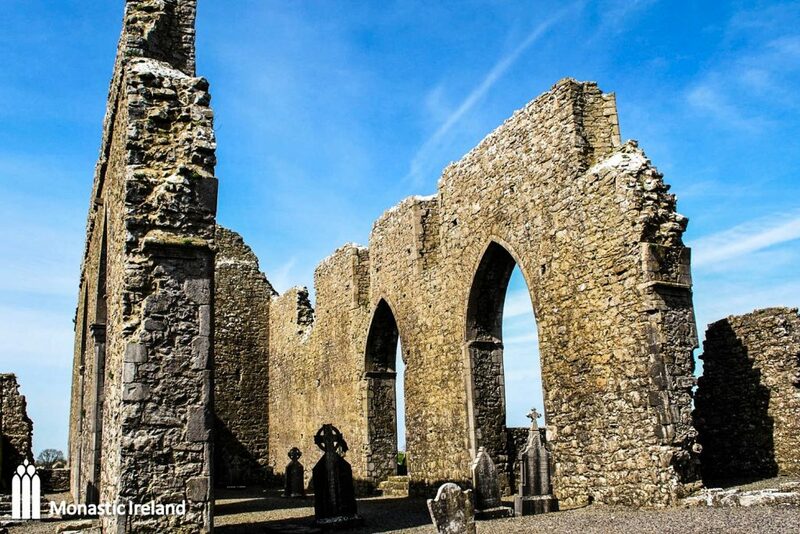 The Cistercian abbey of Abbeyknockmoy lies to the south of Tuam in East Galway. 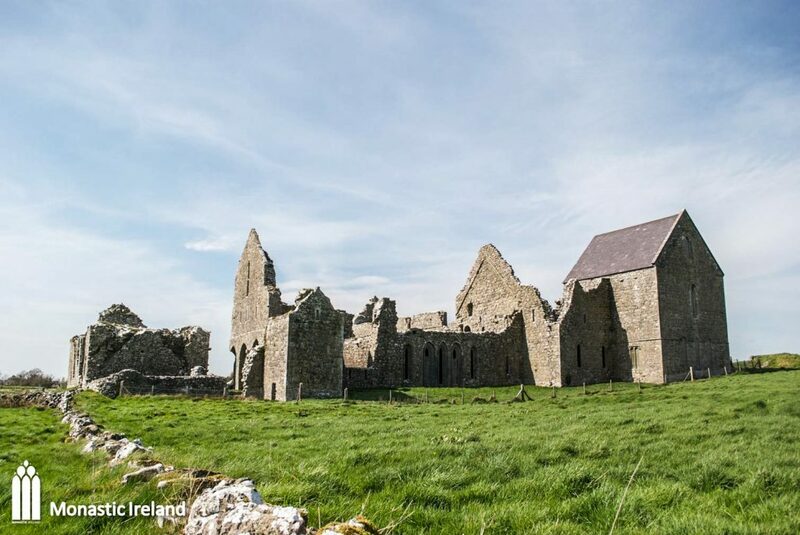 It was founded by Cathal Croibhdhearg O’Conor, king of Connacht c.1190, and was settled by Cistercians from Boyle Abbey, Co. Roscommon, itself the earliest foundation of that order in Connacht. 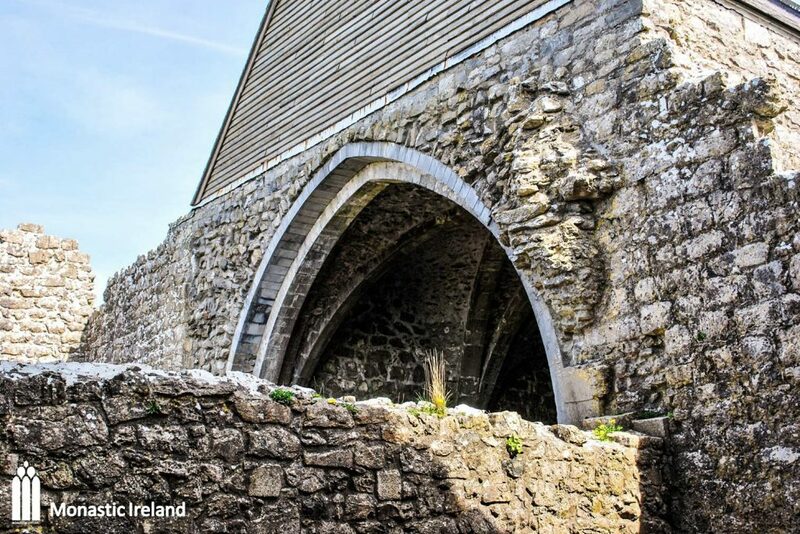 Built according to the standard Cistercian plan, the majority of the buildings at Abbeyknockmoy date from the early thirteenth century, with further building work carried out in the fifteenth and sixteenth centuries. 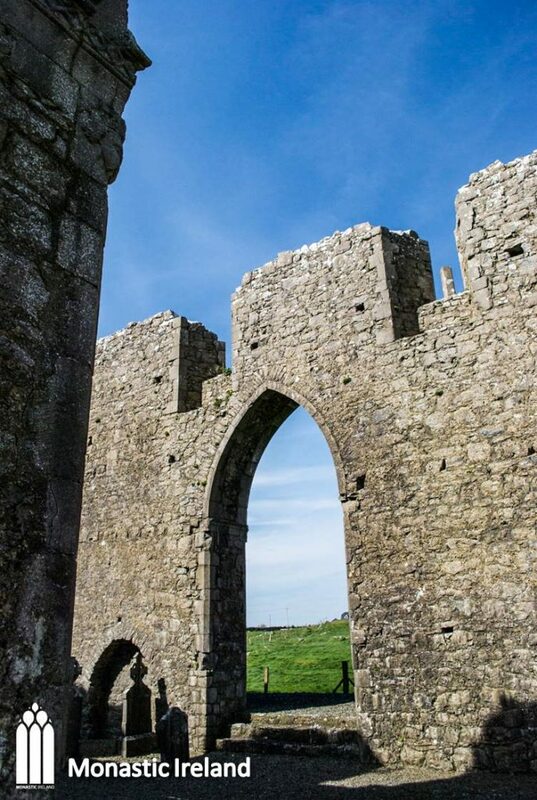 The founder, Cathal Croibhdhearg O’Conor, was king of Connacht and brother of the last high king of Ireland, Rory (Ruaidhrí) O’Conor (d. 1198). 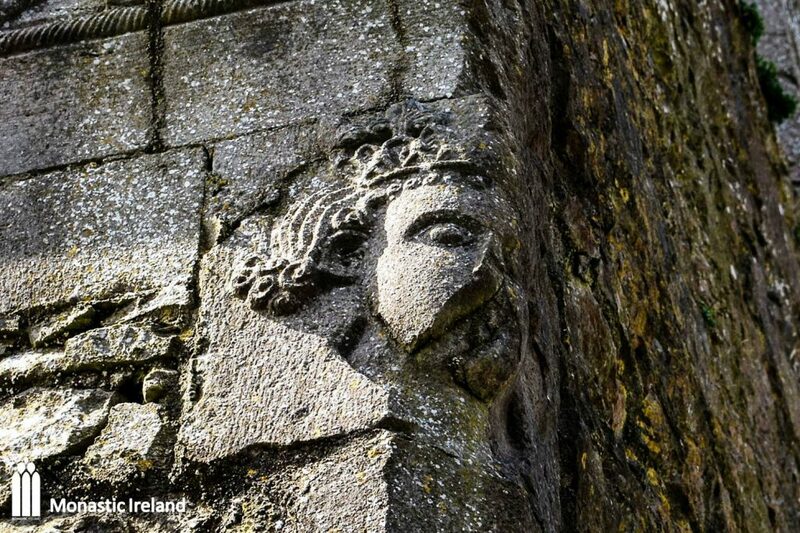 He spent much of his career entangled in local dynastic struggles and relied upon Anglo-Norman assistance to support his claims as king of Connacht. He received a formal grant of Connacht from the Anglo-Norman King John in 1210. 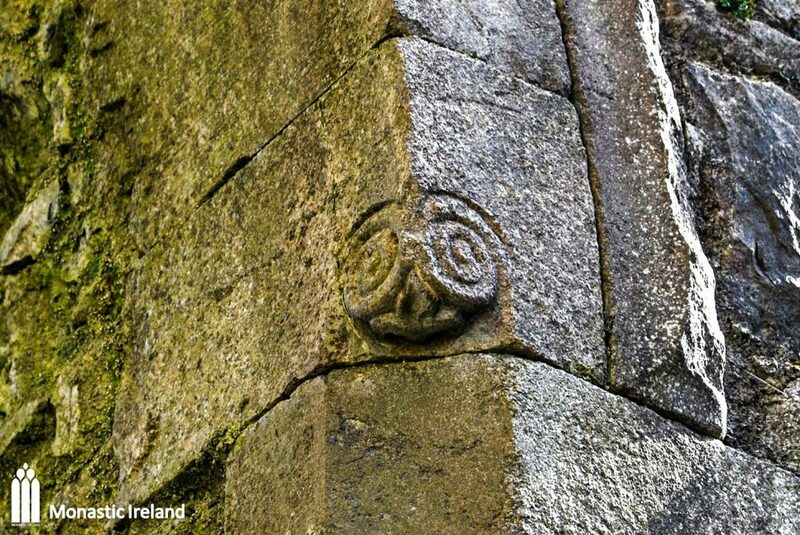 He was actively involved in church affairs appointing his brother-in-law Felix Ua Ruanada as archbishop of Tuam in 1202. 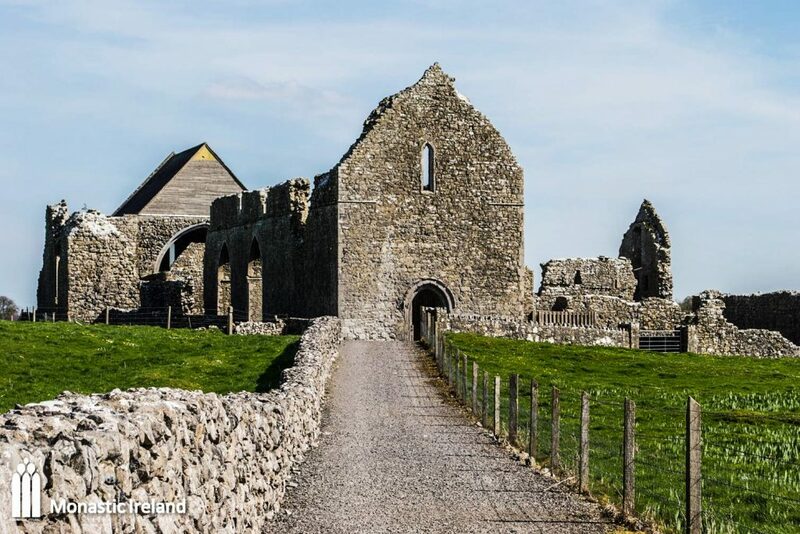 His endowment of the Cistercians at Abbeyknockmoy, and the Augustinian Canons at Ballintubber Abbey, Co. Mayo in 1216, was most likely an attempt to establish loyal communities of monks and canons in areas of contested territory. Cathal styled himself as Kathaldus Rex Conacie, ‘king of Connacht’, and is often regarded as the last ‘great’ king of that province. 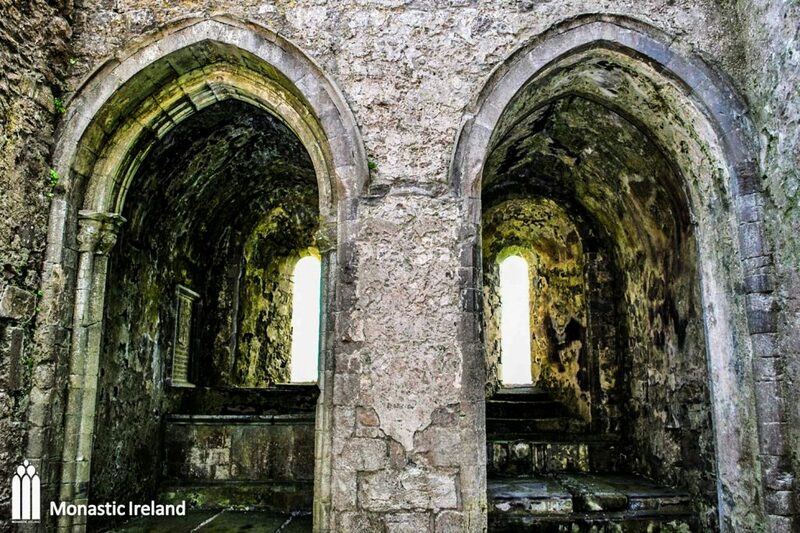 Shortly before his death in 1224 he entered the monastery at Abbeyknockmoy and was subsequently buried there. 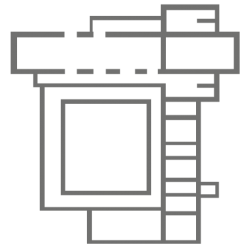 The powerful O’Kelly (Uí Cheallaigh) family, lords of Uí Mhaine, supplanted the O’Conors in the fourteenth and fifteenth centuries. 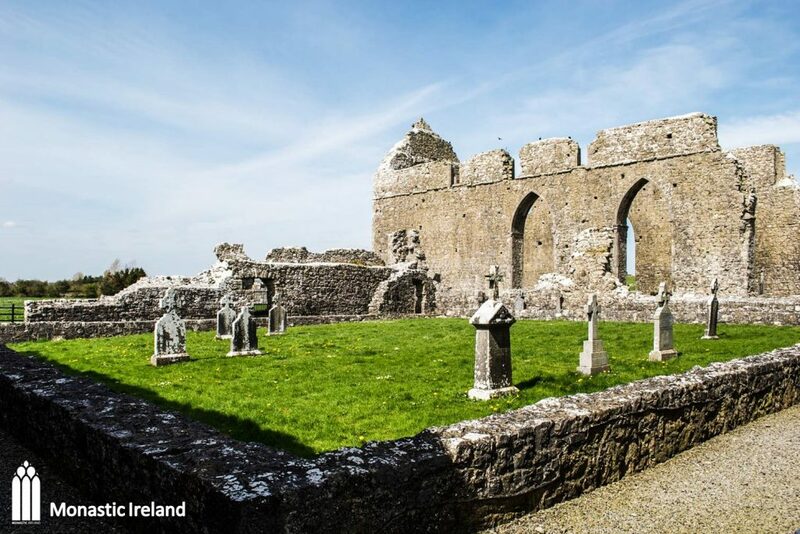 Probably due to its location close to the boundary of their territories, the O’Kellys became active patrons of Abbeyknockmoy, using it as one of the family burial places. Control of the abbey was also ensured through a succession of abbots who were family members. 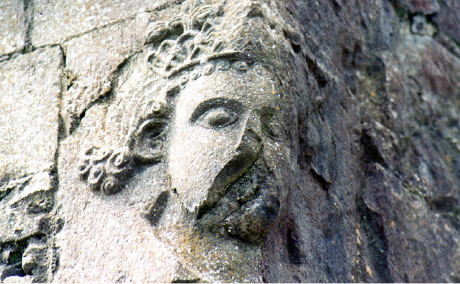 Cathal styled himself as Kathaldus Rex Conacie,‘king of Connacht’, and is often regarded as the last ‘great’ king of Connacht. The east end of the abbey is the work of the so-called ‘School of the West’, a group of masons renowned for their fine stone carvings and idiosyncratic sculptural detailing. 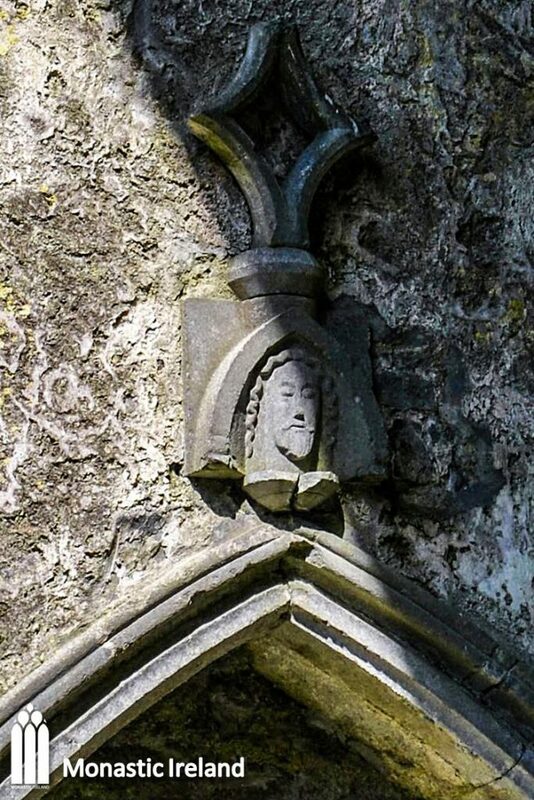 Good examples of their work can be seen on the east windows and the carved head of a king – possibly Cathal Croibhdhearg, located in the nave. Abbeyknockmoy also possesses one of the best surviving examples of medieval wall painting in Ireland, protected under the vault of the presbytery. Paintings feature the popular medieval tale of the Three Living and Three Dead Kings, intended to remind viewers of the inevitability of death, and an image of the martyrdom of St. Sebastian, the saint invoked for protection from plague. 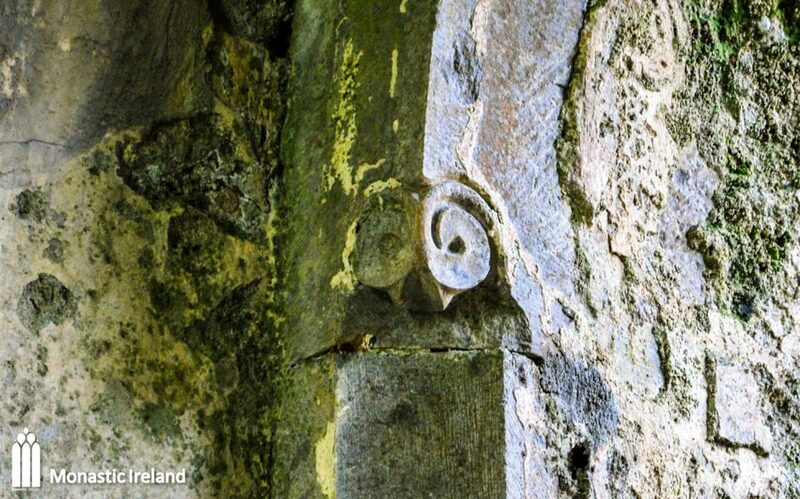 1190: A storm on Lough Ree claimed the lives of Cathal Croibhdhearg O’Conor’s son and a number of his retainers. 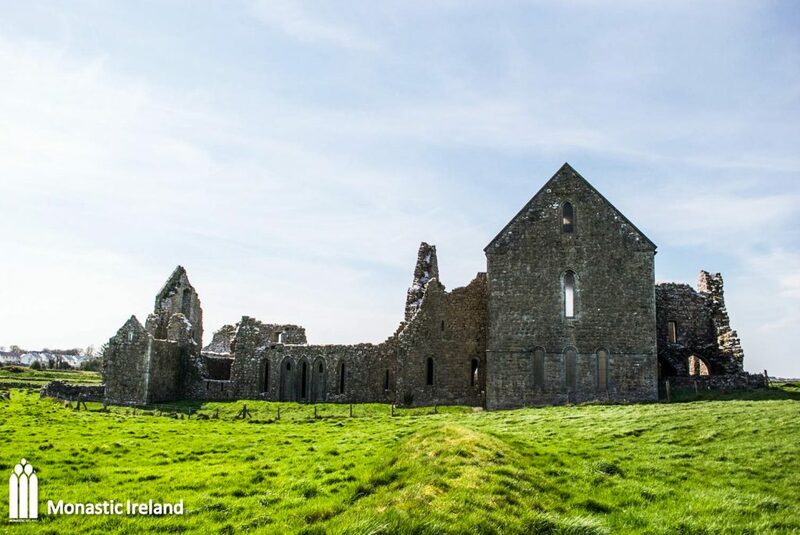 Tradition maintains that Cathal founded Abbeyknockmoy in thanksgiving for his survival of this tragedy. 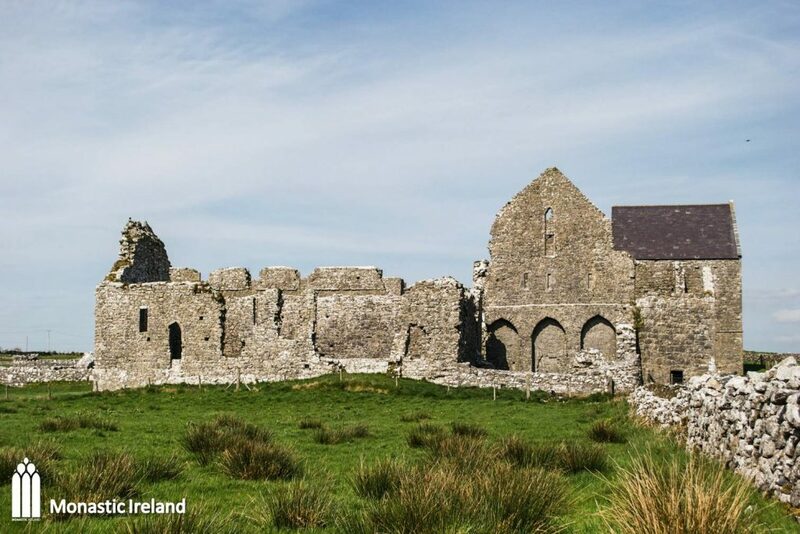 1202: The abbey was plundered by the Anglo-Norman, William de Burgo while Cathal Croibhdhearg was in exile. 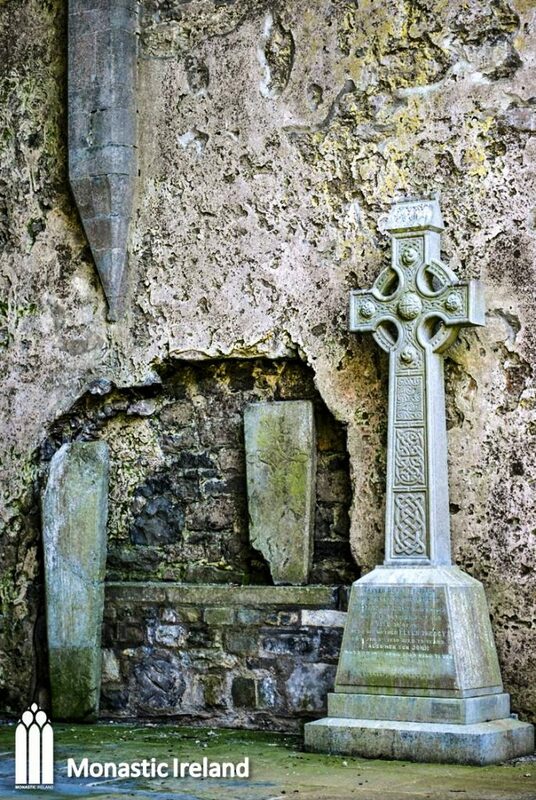 1211: Cathal Croibhdhearg’s nephew Rory, son of the last high king of Ireland, Rory O’Conor (d.1198), was buried here. 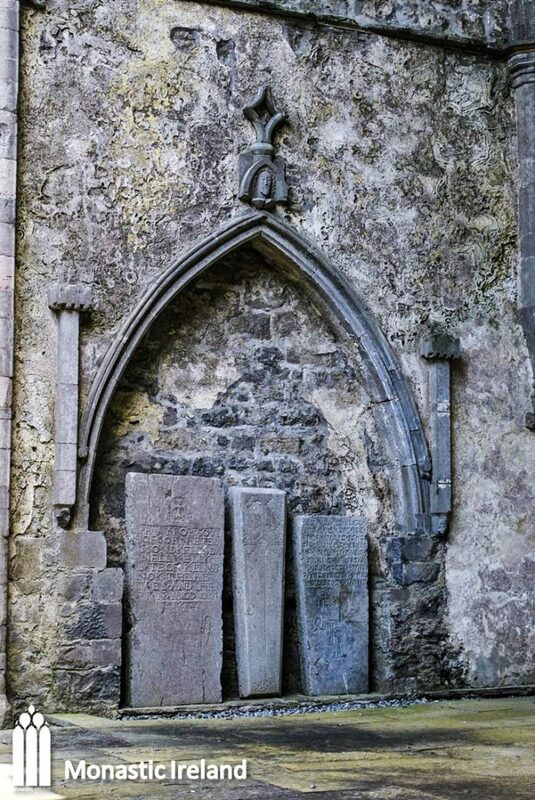 1224: Cathal Croibhdhearg was buried in the habit of a Cistercian in Abbeyknockmoy, and was buried here with his wife, Moy (Mór), who had died in 1217. 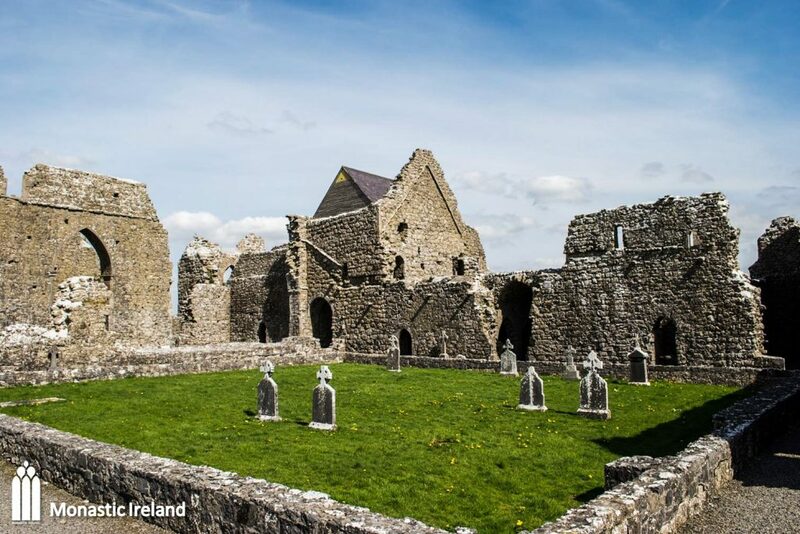 1254: Brian, son of Turlough (Toirdhealbhach) O’Conor (d.1234) and grandson of the high king Rory was the last O’Conor whose burial is recorded here. 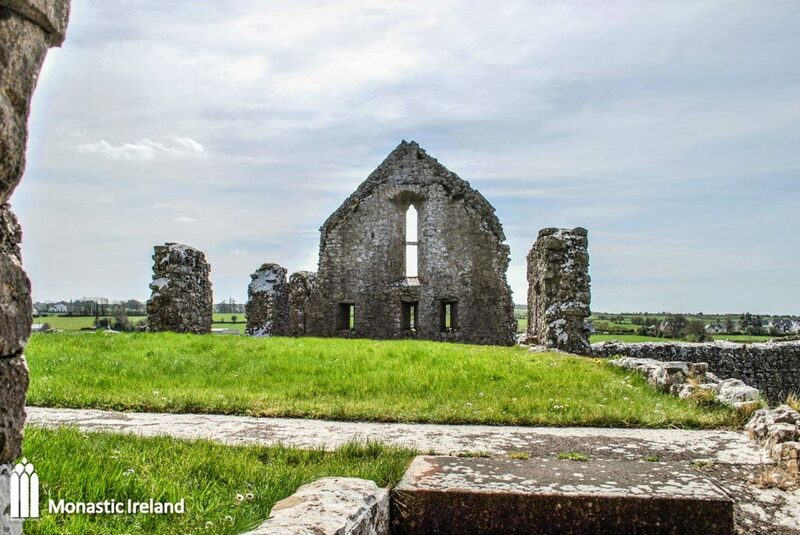 1290: Donal (Domhnall) O’Kelly, lord of Uí Mhaine, retired to Abbeyknockmoy and was buried here in 1295. 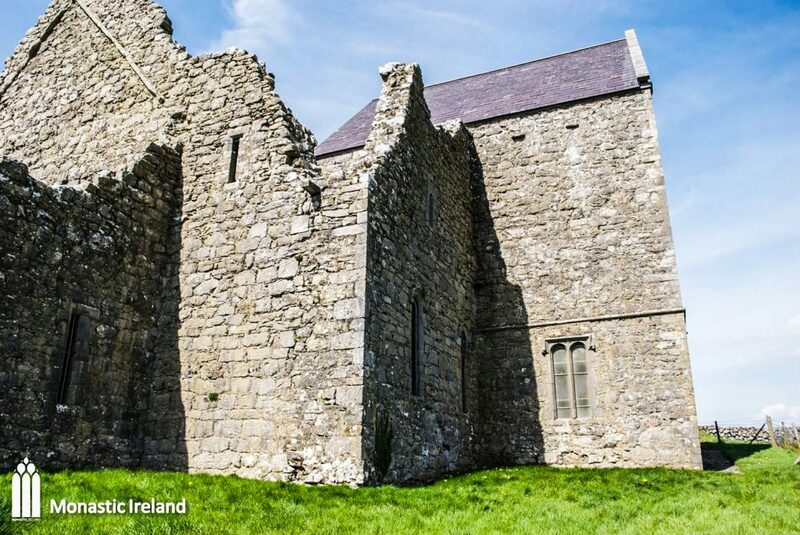 Late 14th century: Maurice (Muircheartach) O’Kelly, archbishop of Tuam, was a generous patron of Abbeyknockmoy. 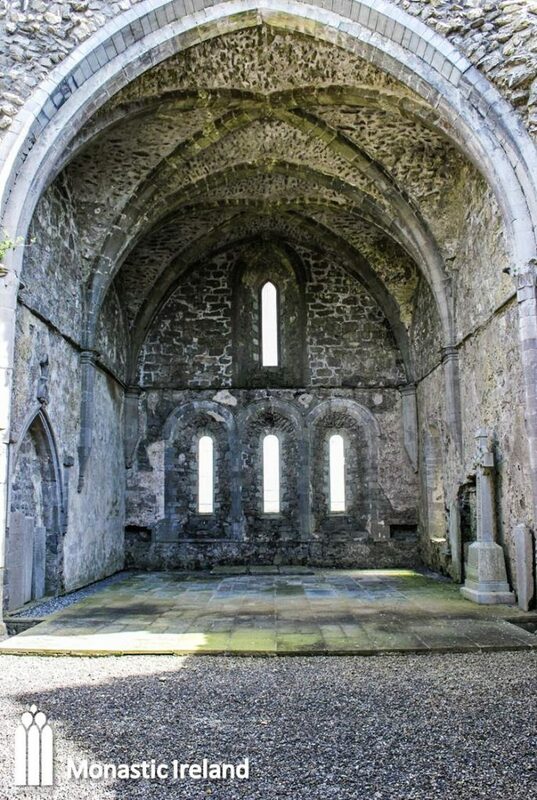 He granted it several valuable endowments in the including the vicarage of St. Nicholas’s Church, Galway. 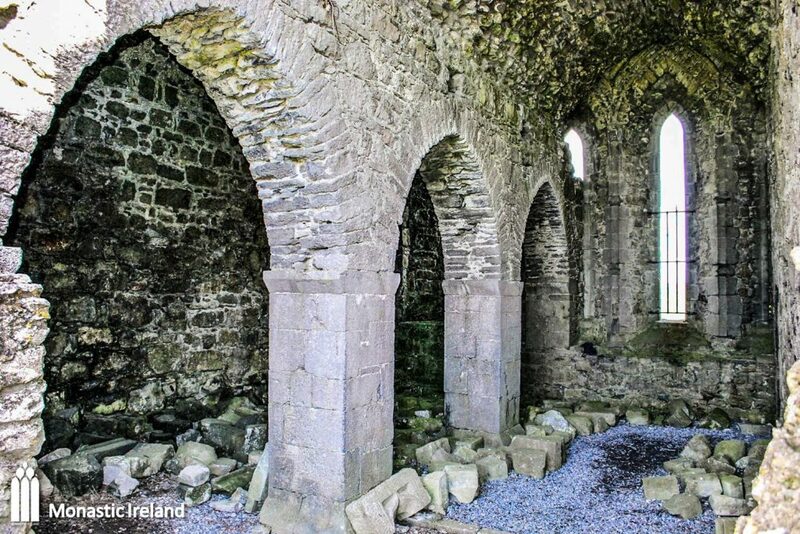 1402: Malachy (Maolsheachlainn) O’Kelly, lord of Uí Mhaine erected a family tomb in the north wall of the presbytery, the space traditionally reserved for the founder’s tomb. 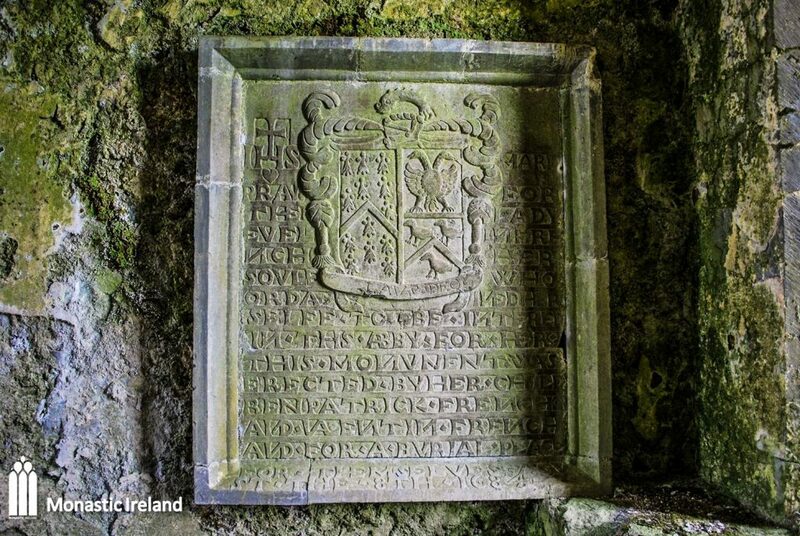 He and his wife, Fionnuala O’Conor, were subsequently buried here following their deaths in 1402 and 1403. 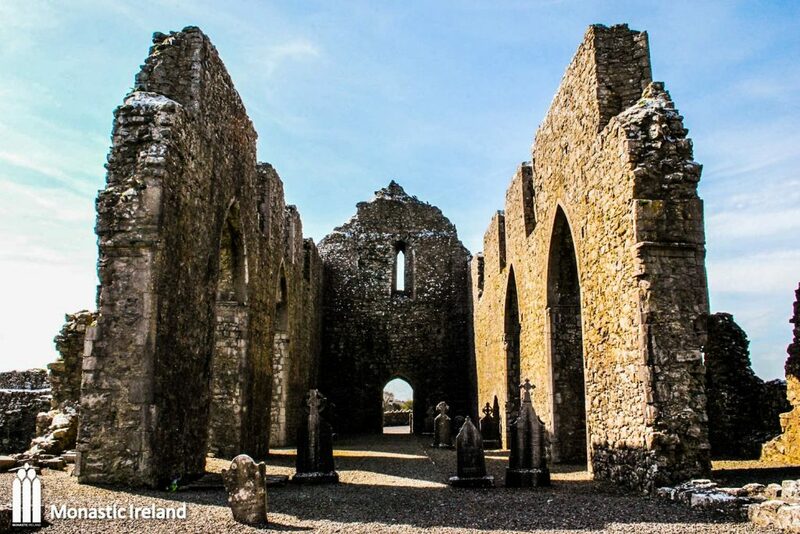 1440: Conchobhar O’Kelly, abbot of Abbeyknockmoy and brother of Maurice, archbishop of Tuam, died. 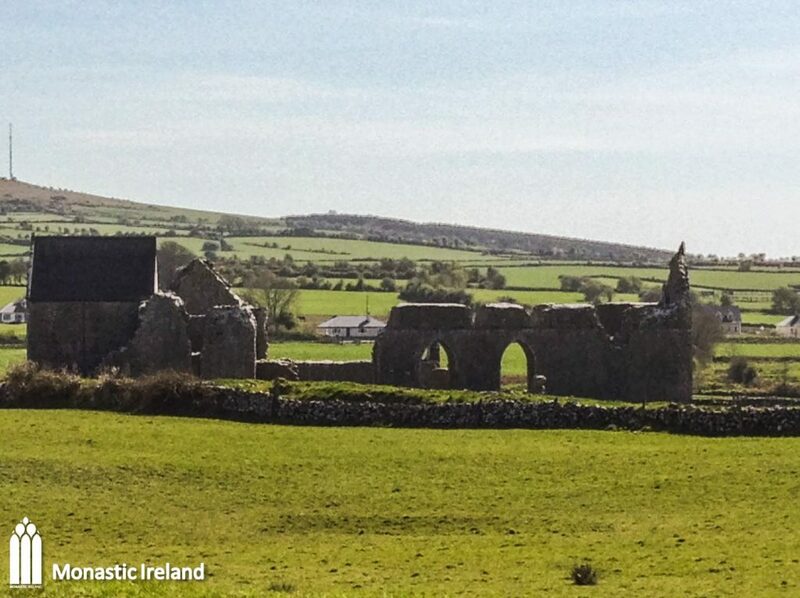 1452 and 1456: Abbot Malachy O’Kelly was accused of allowing the monastery to fall into disrepair. 1483: Abbot John Burke (de Burgo) was accused of setting fire to the abbey. 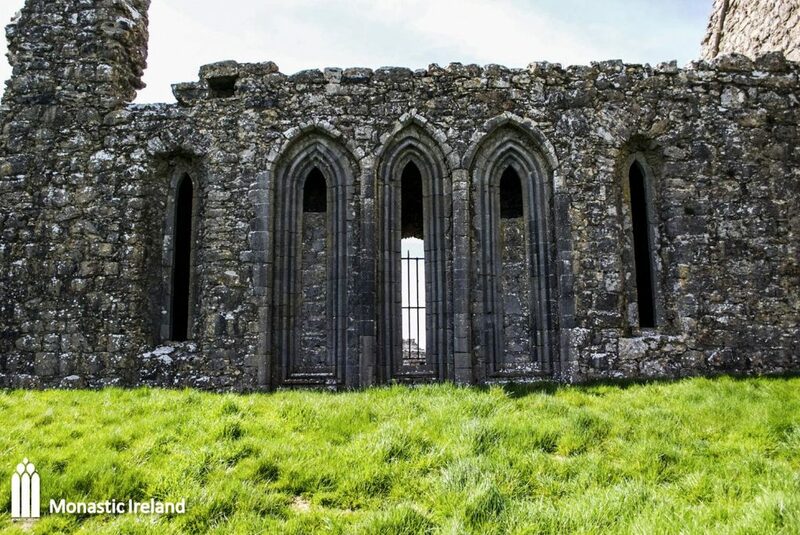 1542: The abbey was surrendered to the crown as part of Henry VIII’s dissolution of the monasteries. 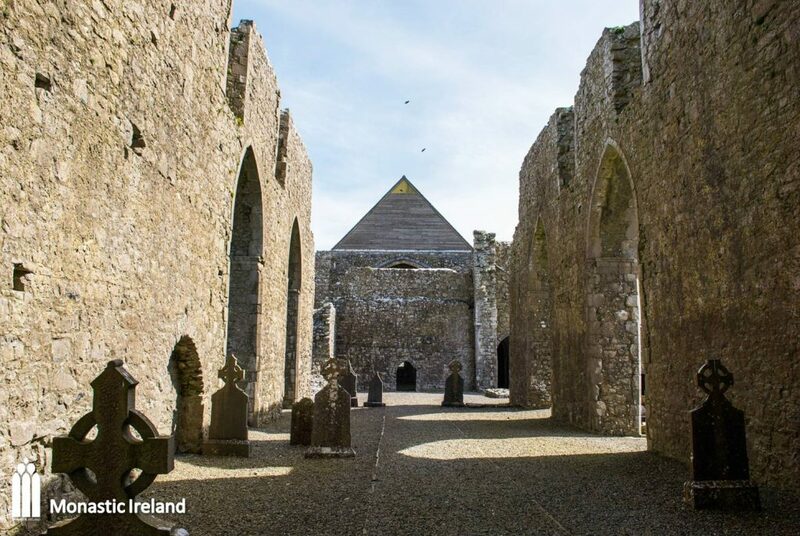 Abbot Hugh O’Kelly was appointed to collect rents soon after and it appears that the abbey church continued in use as a parish church, referred to as ‘Porta Magna’ or ‘Teampollandorusmoir’. 1566: Andrew Brereton obtained a lease on the abbey. 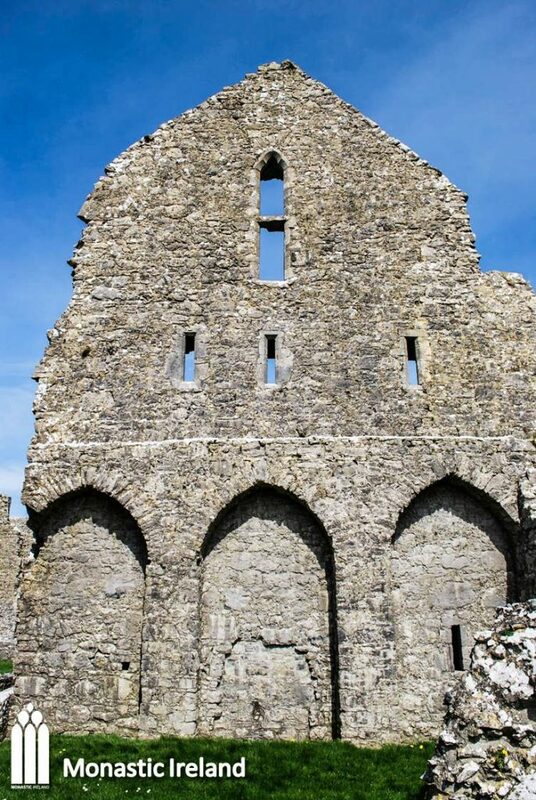 1568: Nicholas FitzSymons obtained a lease on the abbey. 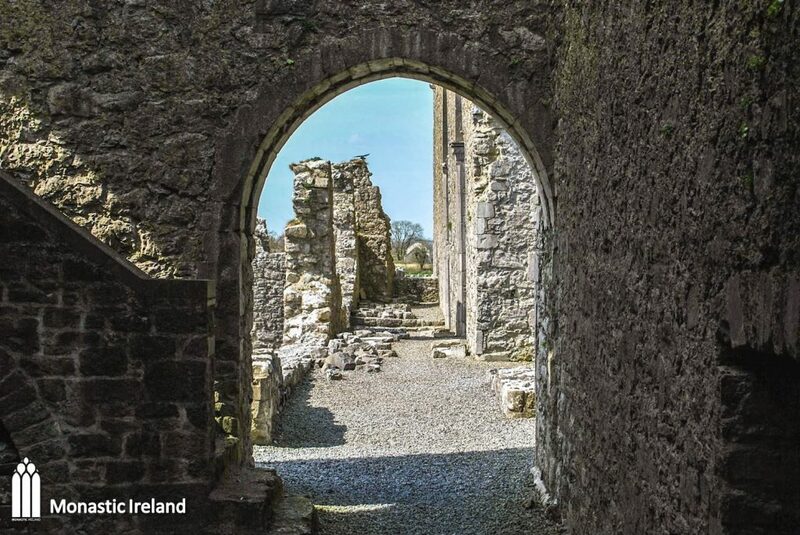 1620: Abbeyknockmoy was granted by James I to Valentine Blake, one of the richest men in Galway. 1837: Francis Blake Forster of Ashfield owned the property. Late 1980s: The painted murals in the chancel were exposed to the elements until the late 1980s when the Office of Public Works carried out work to weather-proof the space, to prevent further water damage to the paintings.